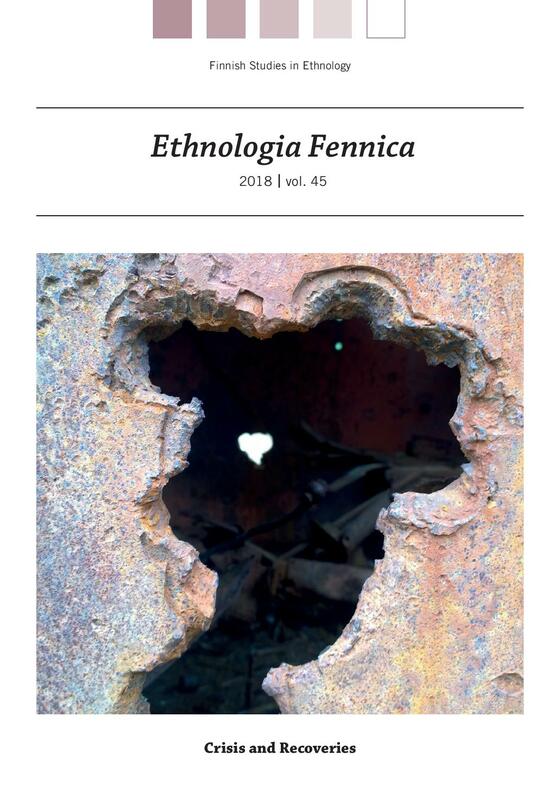 The current volume (45) of Ethnologia Fennica focuses on the theme “Crisis and Recoveries”. The three articles published under the theme approach the war and crisis from new perspectives: those of personal narratives and various groups of civil society such as children who have long been excluded from standard historical memory. They also concentrate on the recovery side of crisis: they ask how individual persons and communities have recovered from the crises caused by or related to the war, and how the crisis are commemorated and reinterpreted. Additionally, the articles pay attention to the experiences of the younger generations who have no personal memories of the events but whose lives have been affected by the war and especially by the silences and tension surrounding it.